In our day-to-day lives, we often end up consuming beverages that not only have an adverse effect on our health but are also continuously deteriorating us from within. Think of all the beverages or drinks that you consume in a day. 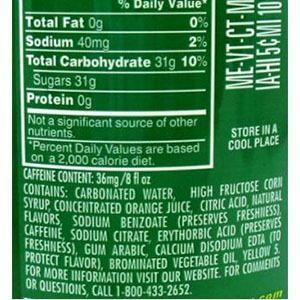 Have you ever bothered to even check the ingredient label at the back of your soda can or your juice box? You probably haven’t. It’s not your fault. You are just not aware of what is happening today in the food and beverage industry. Hopefully, this will change after you’re done reading this article. The beverages that you drink regularly are laden with harmful preservatives and additives that rack and ruin your health. These additives and preservatives are added to increase the shelf life of the food or beverage, or to add flavour or texture to it. All of this is done to make sure that the product lasts longer and tastes better, thereby appealing to a wide customer base. BUT AT WHAT COST? The big companies are using harmful preservatives and chemicals to increase the shelf life of their products while completely disregarding the health of their consumers. All of this just to maximise their profits. By the looks of it, they are most certainly not going to develop a moral conscience about it any time soon. So, it is our own responsibility to be aware of the stuff that we put in our body. If you ever find yourself chugging down a beverage of any sort, just check the ingredient label once. You will be shocked to find out the number of harmful preservatives and chemicals that are used in its processing. This is what the ingredient label of a cold drink looks like. Moreover, the number of calories that you consume as you go down on these beverages is the reason why you are not physically fit. Lack of awareness about nutrition is the reason behind the drooping health standards in India. Thus, there is an actual need to address these issues. So, what to do? How do you stop consuming these beverages and shift to a healthier diet? Start consuming all natural and organic drinks and focus on a clean, healthy diet. Studies have shown that people who drink 4-5 litres of water everyday are considerably fit and healthier than those who reside on drinks and beverages for quenching their thirst. But you can’t just keep drinking water all day, can you? You must have tried it many a times and failed. Believe me, we all have. Thus, finding an alternative is an absolute necessity. This is where a revolutionary product comes in. Now what is #Instacuppa, you ask? Well, it is a 100% food safe, FDA approved product which helps you infuse water with all the natural fruits, vegetables and herbs that you can think of. I was as excited as you, when I too, stumbled across this gem of a product. With the rising costs of all-natural organic food and beverages, this product is a one-time investment in your health. You just buy it once and use it for years to come and bless yourself with healthy, all-natural, fruit/tea leaves/herbs/coffee infused product. How to infuse your water using Instacuppa. Put the desired fruits, herbs, coffee beans or tea leaves in your infuser core. Fill the instacuppa with cold water and make sure that the infuser core is submerged in the water. THAT IS IT!!! IT IS JUST THAT SIMPLE. Think of all the fruits/vegetables you could use to infuse water. Think of the iced tea or the cold coffee that you could drink every day; not worrying about the preservatives or any other harmful chemicals that might be added to your drink. You’d be aware of what you put in your drink. You’d be aware of how healthy the infused water is that you’re drinking. WHY CHOOSE INSTACUPPA OVER SIMILAR PRODUCTS? There might be a few similar products available in the market, but they are either imported directly from the US, thus having exorbitant prices due to the enormous shipping cost and custom duties, or it is just a bad quality product with plastic that contains BPA. 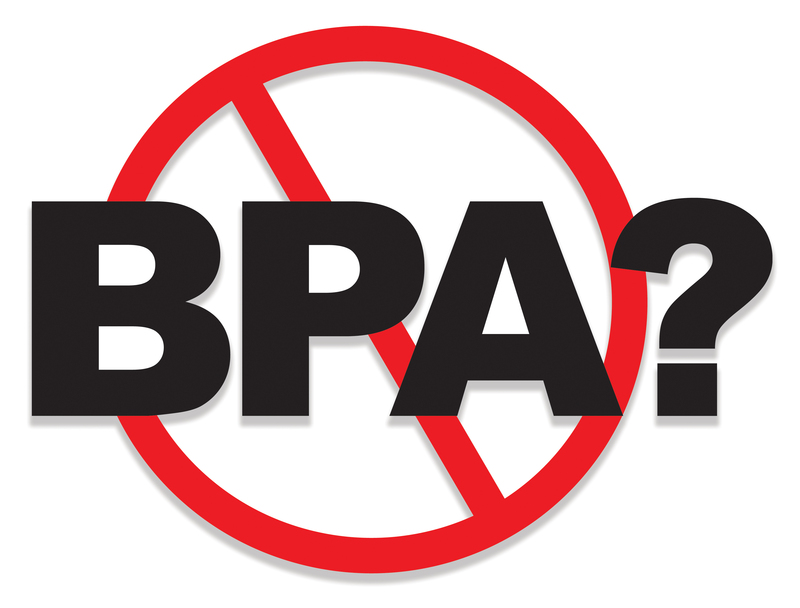 BPA stands for bisphenol A. It is a chemical that is used in the preparation of polycarbonate plastics that are used to hold beverages. Moreover, it is also used as a coating on the inside of soda cans. Thus, it is safe to assume that the beverages that you are drinking are in contact of this harmful industry chemical. There have been a lot of research on the adverse effects of BPA on our health. Not only does it lead to an increase in blood pressure, but it is also associated with causing several other health problems in infants, children and even adults. Instacuppa is designed for the sole purpose of bringing you the best quality environment friendly unit to cater to your health needs. To keep it ergonomic, natural materials like TRITAN, bamboo or glass is used instead of plastic. It will act as a DETOX drink in your diet. It will help to cleanse your body from within. Drinking fruits infused water is good for the skin as it is rich in antioxidants. You’d experience an all-natural glow on your face once you start drinking the infused water daily. Infused water tastes delicious. So, naturally, you’d be able to drink more of it throughout the day. Thus, it would be much easier for you to stay hydrated. Due to the soaked fruits and vegetables in the water, the infused water acts as a nutritional powerhouse. It will strengthen and improve your immune system. It will help you suppress your desire to drink sugary drinks. Our body needs water. The more water drink, the better our body functions. All the bodily processes like blood circulation, digestion, excretion etc. would be improved. You will feel healthy, thereby having a positive affect on your mental well-being. It will suppress your false hunger and keep you from eating more and more. Significantly low in calories. Will assist in weight loss. Although whenever you buy an INSTACUPPA, you get a free recipes eBook. Still, here are a few recipes that you might want to give a whorl. Cucumber and Tulsi – Add a few thinly cut slices of cucumber alongside 8-10 fresh tulsi leaves. Orange and mint – Add half an orange with a few basil leaves. Let it soak overnight. Pineapple and lemon – Add roughly around 150gm of pineapple with 4-5 slices of lemon. Mango and Pineapple – Add a few pieces of mango and pineapple. Strawberry and mint – Add a few strawberries with 8-10 mint leaves. The list can go on and on. You may add whatever you want, to infuse your water using instacuppa and enjoy the health benefits that come along with it. Just make sure that the fruits and herbs that you use are fresh, organic and free from harmful pesticides or other chemicals. After reading all this and processing all the information, you must be pumped about this gem of a product that is turning tides in the health industry. I’m sure that you can’t wait to jump on their website and checkout the product. Preferably, even BUY ONE. So, here’s the link to their official website. We do need to consciously look at the labels I guess! Engineered with genetic engineering!?? Like your simple infused water recipes. Very good post n laden with useful information. Instacuppa is indeed a good solution to lots of health issues we face in today’s fast pace life. Hi Parag! This is a nice, well-researched detailed post. You have touched upon all the important points in this topic. Instacuppa products definitely seems like the perfect product to maintain a healthy lifestyle. Please read my Week 4 post for #Superbloggerchallenge2018 here: https://thetinaedit.com/2018/03/12/heres-how-i-think-instacuppa-will-be-a-great-addition-for-my-family-superbloggerchallenge2018/. Thank You! Infusing water is a great idea. Kudos to Instacuppa for bringing out such great products. I love the image with the recipes at the end. It is going to be a ready reckoner for this summer season to keep myself hydrated.